Solid Timber kit homes by Fraemohs perform exceptionally well in the tropical conditions of the Pacific Islands. During the 50 years that we have been making Solid Timber kit houses we have exported them to many Pacific Islands, including Fiji, Samoa and Niue. As well as farther afield to Japan and throughout Asia. Our Solid Timber kitsets were selected to be used for many of the buildings at the 1998 Winter Olympics in Nagano, Japan. One of our very first projects back in the 1960s was for mining workers accommodation in New Caledonia, and our relationship with Pacific Island nations has remained strong ever since. 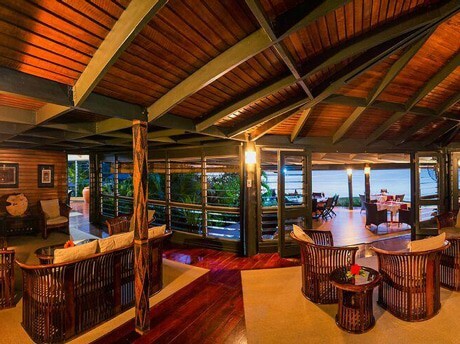 The award-winning Taveuni Island Resort and Spa in Fiji has found that Fraemohs Solid Timber kitsets make ideal luxury bures. The solid timber bures are very practical because they are easy to construct and the solid timber walls are incredibly strong, which is an important consideration in a region that can experience tropical cyclones. The Scenic Matavai Resort on Niue’s south-western coast has also made use of Fraemohs Solid Timber kitsets for guest accommodation. Fraemohs kitsets are very simple for anyone with some basic building skills to construct. With no need for specialist plaster board fixers and stoppers the build process is much faster. The walls are put together without any nails so where there is uncertain power supply this is a great advantage. This makes Fraemohs kit homes an ideal solution to building in remote locations. Distance is no object and we have previously sent kit homes to a range of difficult-to-reach destinations including the Chatham Islands, Falkland Islands and Lord Howe Island, which is situated off the coast of New South Wales. Kit homes by Fraemohs are also a very cost effective solution for people building in remote locations, owing largely to the reduced building time. For further reading on this, take a minute to read this short article on the topic. For people building a kit home in parts of the Pacific Islands exposed to tropical storms, we generally recommend opting for an upgraded door and window system to make your home cyclone proof. These relatively simple, and affordable additions will give you the assurance you want when a storm comes. Cyclone proof kit homes by Fraemohs have been proven to withstand the strongest of tropical storms. When Cyclone Ami struck Fiji with deadly force in 2003 for instance, the Taveuni Island Resort came out unscathed. Since then, further Fraemohs units have been despatched to the Resort and built on Taveuni after locals witnessed their ability to stand up to hurricane strength winds. Solid Timber kit homes by Fraemohs are famous for their performance during even the biggest earthquakes. 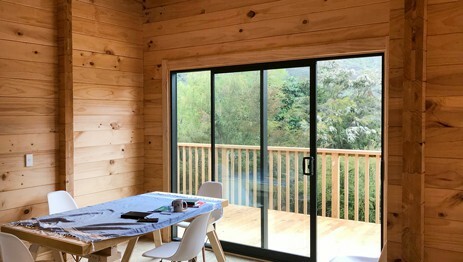 In the 2011 Christchurch earthquake, where 185 people sadly lost their lives and thousands of homes were destroyed, our Solid Timber homes stood strong and received widespread recognition by engineers, homeowners and the media alike. The safety of you and your family during an earthquake is of course the priority, and our Solid Timber kit homes will assure this. Beyond safety, earthquakes have the potential to impact lives in other ways, as the people of Christchurch have discovered. Massive disruption to livelihoods, income and more come about when a home is destroyed or even damaged in an earthquake. Building an earthquake proof kit home by Fraemohs will give you the peace of mind many Pacific Island based families do seek. 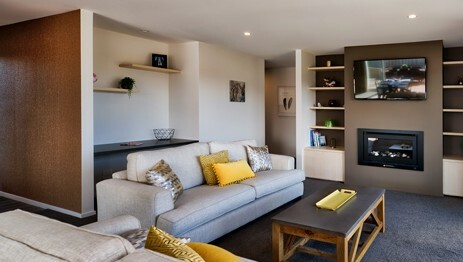 For more information on why our homes perform so well in earthquakes, as well as first hand accounts from earthquake survivors living in our homes during the massive Christchurch and Kaikoura earthquakes, click here. Our kitset homes can be easily purchased through our proactive partner and distributor in Fiji, Pacific Property Solutions. To learn more about buying your kit home through Pacific Property Solutions, please visit their website www.ppsfiji.com. Stylish, contemporary Timbermode, or the highly durable, versatile Solid Timber - which is your style?